The rich and colorful history of Pantone dates back to 1963, when the young Lawrence Herbert created the Pantone Matching System(PMS) after buying out a small commercial printing company in New Jersey, USA. By assigning a number to each color, anyone could achieve accurate and consistently repeatable color results, and this system catapulted Pantone into becoming the standard language for color communication for color-critical industries. 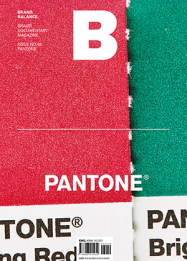 While its roots are in the graphic arts community, Pantone expanded its system concept across a variety of industries and proved that ‘color’ can indeed become a brand.